Are on a shoe string budget? Throng to the little restaurants and street stalls in Sabah. Here you will find lip smacking dishes at affordable rates. Dig into TuaranMee, a spicy spread of stir fried vegetables, garnished with roast chicken and eggs. Also try the Ambuyat or Nantung, a gluey porridge of sago, tapioca or rice twisted around a chopstick and served with sauce. 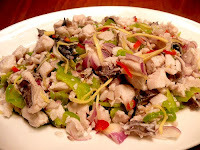 Try Hinava, a salad of raw fish or prawns whose unique flavour comes from bambangan, the grated seeds of a local wild mango. Are on a diet? Have your fill of Tuhau, a fresh salad made from a ginger-like plant. Or try the Kelupis, a glutinous rice wrapped in a fragrant ‘daun nyirik’ leaf cooked in coconut milk. Time for some exotic fare? Have a lavish spread at Sarawak. Try the Sarawak Laska noodles. Served with a tangy aromatic soup, this dish is sure to tickle your palate. 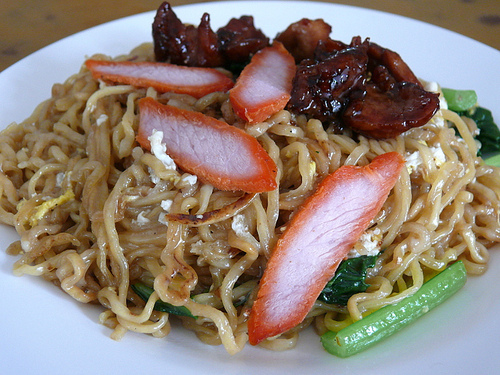 Mee Kolok, another type of handmade noodles tossed with meats in oil and vinegar is a must try. Also taste the Manok Pansoh, a chicken and ginger dish cooked in a bamboo log. And last but not the least try the Bird’s Nest Soup, the highly prized Chinese delicacy which is said to have medicinal properties, available at up market restaurants.